Alice Henderson never faced a ball she couldn’t hit. Then again, she’s only ever played in her backyard against her older brother, Adam. 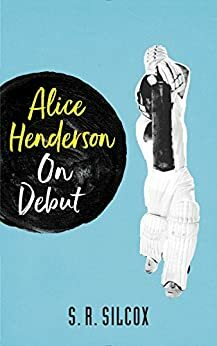 Does Alice’s talent stack up against some of the best cricketers her age? Or will her dream of becoming a professional cricketer be over before it even begins? 4.0 out of 5 starsRecommended good read. Really lovely story. Five out of five if you like cricket! 5.0 out of 5 starsA very sweet enjoyable read. Living in the US, I really know very little about Cricket, but I do know first hand that until Title IX, girls had limited access to varsity sports. But Alice's story is much more, she is a young girl coming of age, dealing with her place in her family, her relationship with her jealous brother, the disadvantages of coming from a rural area, and worse yet, the stigma of social standing and harassment within the group of girls chosen to participate in the Cricket camp. Not only does Alice overcome it all, though it is sometime painful, but she also surpasses expectations when it comes to the meaning of true friendship. This novel offered so much with plot and sub-plots and character development. It was a very sweet enjoyable read that made me sadly recall the 50's when I grew up and so desperately wanted to play basketball but the option other than playground courts was not there. I love sports books and if you add a romance all the better. Well, this has no romance nuttiness cricket...and I know nothing about cricket. So basically when it came to the sports side it was foreign language that try as I might I couldn't get. Despite that, the journey Alice took was a good one. The friendships she formed at camp with Charlie, Hannah, and Jules was we enough developed and I hope to read more about them. I'm actually looking to see if Paris or Sheri show up again. Only thing I wish was there was more character description. I'm one who likes to know what characters look like. Anyway, looking forward to the next one. I loved this book. I don't know much about cricket but now I want to learn more. Awesome girl sports story. Looking forward to more in the series.